Archeology is a broad field of study that seeks to understand the activities of people in the past through the recovery and analysis of what they left behind, buried in the ground, or embedded in landscapes altered by their actions. Ever since Heinrich Schliemann excavated the besieged city of Troy, scholars and the public have been fascinated by the physical remains of battle uncovered in ancient fields of conflict, just as people today are both fascinated and horrified by conflict in their own era. Not every besieged city or battlefield has a Homer to record the deeds of those who fought there, but some are better recorded than others. Certainly the battles of American Civil War are well documented in the written records: nonetheless, those of us who have had the privilege of examining these fields closely on the ground know that paper only tells part of the story. It is beyond the scope of The Petersburg Project to excavate (and there are strict federal and state laws about unauthorized excavations! ), but we use insights from archeological work done at Petersburg and other battlefields, and from the interdisciplinary analytical methods of archeology to assess battlefield and siege landscapes. 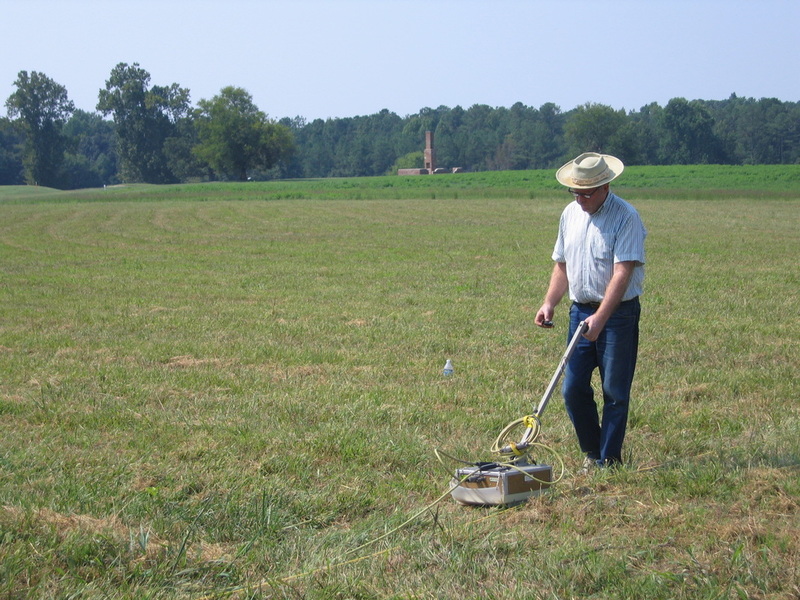 Geophysicist Bruce Bevan verifying the underground location of Battery XIV and a federal covered way at Petersburg National Battlefield through use of Ground Penetrating Radar (GPR). The chimney of the post-war Taylor House is in the background. The area in the photograph was the scene of intense fighting on June 18th, 1864, and was under constant artillery and sharpshooter fire during the siege. Union artillery in the vicinity and the buried covered way were key in the Battle of the Crater, July 30, 1864. The Taylor family leveled the earthworks and filled the trenches after the war. 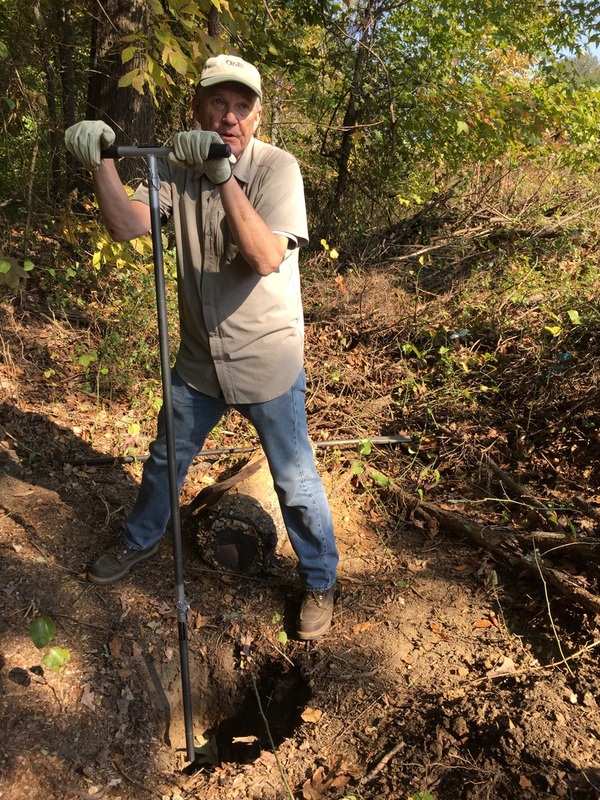 Probing ice-house feature with a soil auger.